Christopher Banke is a dog trainer that can help you get the results you are looking for. 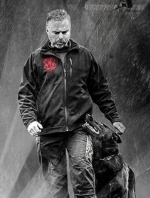 Ever since he was a teenager, Christopher Banke has had a passion for training German Shepherd Dogs. Since starting his training company at the age of 19, Christopher Banke has worked hard to always be improving his skills.